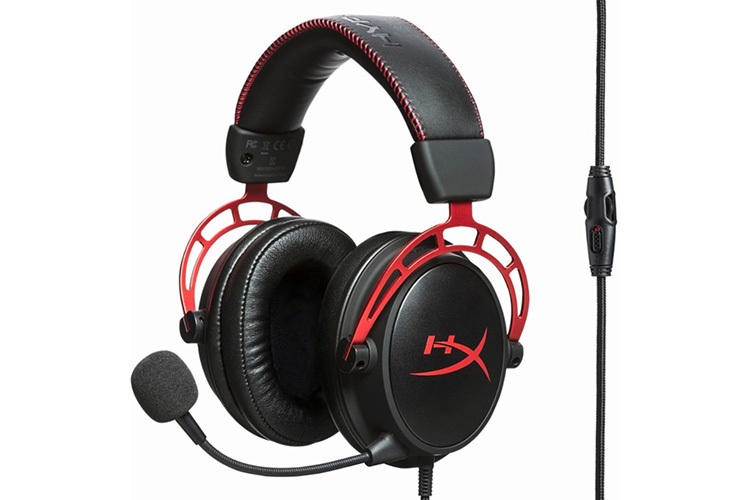 HyperX, the arm of Kingston that develops gaming accessories and peripherals, has released the HyperX Cloud Alpha wired headset in India. The headset comes with 50mm neodymium magnets as drivers and features the brand’s popular dual chamber build which results in a crisp and dynamic sound, as per the company. To ensure comfort during long hours of gaming and prevent deformation of ear cups, HyperX Cloud Alpha are padded with the company’s signature “pliable leatherette” memory foam. The aluminum band which has attractive read accents is supplemented by a comfortable and expandable headband which would conveniently wrap around most people’s heads. The 50mm neodymium magnets have a frequency response of 13Hz-27,000Hz which means the headset can also play sound frequencies far outside the range of humans’ aural ability. Paired with the dual chambers, the 50mm drivers create a loud, distortion-free sound in which bass, mid, and treble frequencies are distinctively audible. One thing to note is that the dual chamber technology hinders noise isolation but that shouldn’t bother most of the gamers who are likely to be indoors while playing. The Cloud Alpha comes with a detachable cable that features an in-line remote control which can be used to adjust the volume as well as has a dedicated button to mute the headset. The attached microphone comes with polar noise-cancellation and is certified by TeamSpeak and Discord to make sure it never disappoints you during team missions. While the headset weighs around 340 grams, gamers can also detach the microphone to make their heads lighter by nearly 40 grams. One benefit of this headset is that it will save you the expense of investing separately in different headsets. The HyperX Cloud Alpha supports connections with Windows and Mac PCs, Android and iOS smartphones, and a variety of consoles including PlayStation 4, PlayStation 4 Pro, Xbox One S, Xbox One X, and Nintendo Switch. The HyperX Cloud Alpha can be bought in India at leading online and offline stores starting March 26 at a price of ₹10,499.